Wine shades are in, and it's a trend we're loving! Look for shades ranging from deep Bordeaux to dark purple on walls, furniture and decorative pieces. These colors are flexible, so you can choose to add small accents or use them on a larger area to make a bold statement. Greens have been increasing in popularity, and the trend is expected to continue. This year, though, the most popular shades of green will be those with a darker brown hue like cedar or moss. One of this year's most popular trending colors is a shade known as Living Coral. This blend of pink and orange works well with a green accent. Variations of this color combination including burnt orange, salmon, blush, and dusty rose are also trending. Warm shades of gold like mustard, turmeric and honey are also showing up frequently in modern interior decor palettes. This color makes a statement on an accent wall or used in a smaller capacity with gold-colored fixtures or decorative pieces. Neutral colors never go out of style. This year, the trend is leaning towards natural colors, with some of the most popular being cream, Sienna, beige, honey, and a light mouse gray. Blue is always a popular color in home decor and often a go-to for homeowners just starting to experiment with color changes. Although teal has been a popular shade for some time, this year, you'll see a lot more of the darker shades like peacock blue. Blue mixed with shades of gray is also trending. 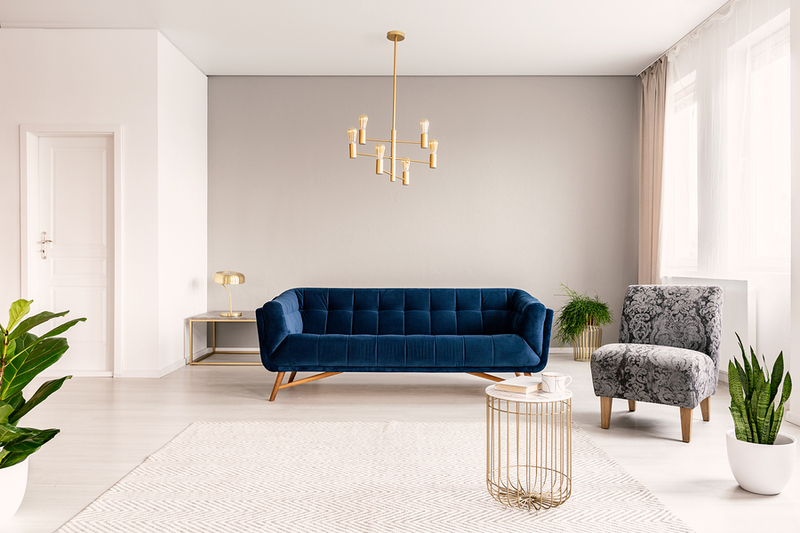 In a huge move away from the light white walls and decor that have been popular in the past, some of the boldest moves you'll see this year incorporate shades of gray, including storm gray, charcoal and lighter shades.